This question is highly debatable, is relaxed hair better than natural hair or vice versa? Well, depending on who you ask you may get several different answers. I personally am "team relaxer", not because it is "better" but because I like to wear my hair straight, having it is more convenient for me (and I LOVE convenience), and most importantly because I know how to have a relaxer and keep my hair healthy. 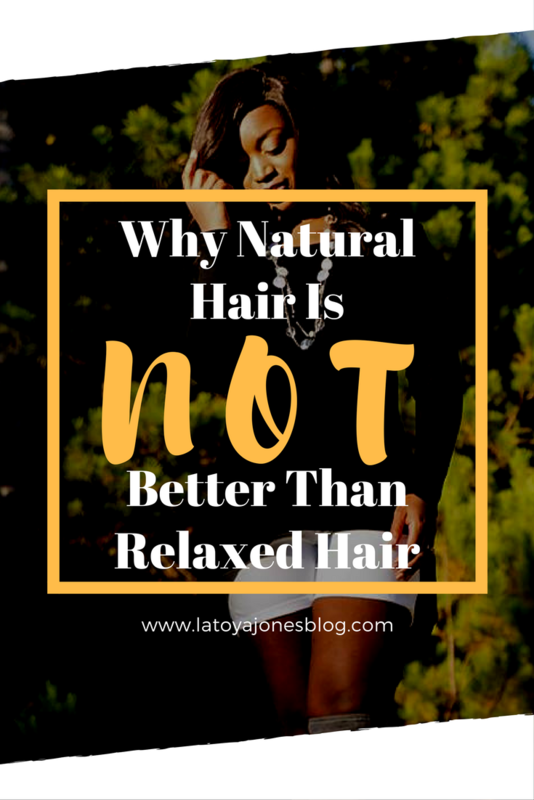 Is natural hair better than relaxed hair? Now back to my question. Is relaxed hair better than natural hair? Is natural hair better than relaxed hair? My personal answer is that I don't believe one is better than the other. I believe that healthy hair is the ultimate goal, so whether your hair is natural or relaxed that is what you should be aiming for. Now I will say this, if you are unable to do what is necessary to take care of your relaxed hair, going natural may be an option that you should consider. A lot of people say that relaxers cause damage but in reality simply having a relaxer does not equal damaged hair. It is the responsibility not only of the person administering it to do so correctly, but also the responsibility of the person who receives it to take the proper steps in order to prevent any damage from occurring. Lets take a closer look at what causes the hair to be damaged when you receive relaxers. Improper administration- This is one of the top reasons why hair gets damaged when having relaxed hair. Improper administration means that the relaxer was not applied correctly. Applying a relaxer incorrectly will 100% of the time result in damage. This is why it is vitally important to let an experienced professional hair stylist apply your relaxer. Trying to do it yourself or having an unprofessional do it for you can result in damage. I will be honest, before I even thought about going to cosmetology school, especially in my broke college days, there were plenty of times where I gave myself a relaxer or had a friend do it. I will also admit that I suffered from plenty of scalp burns. I thought this was normal and no big deal but once I went to cosmetology school I learned that I was so wrong. I found out that not only are you not supposed to get scalp burn, but it is not supposed to burn you at all! In fact, it should only take an average of 13-15 minutes to apply. That includes putting it in and working it all the way through. I know that when I was doing my own relaxers that it took me at least 13 minutes just to put it on and probably another 15 minutes to work it through. No wonder I had so many scalp burns! Applying too much heat- Having a relaxer does weaken the hair some by breaking some of the bonds in the hair. 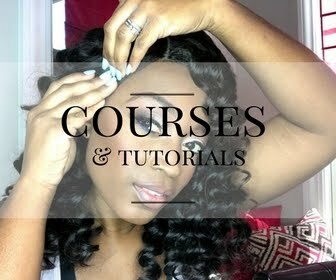 Adding too much heat by curling and flat ironing it multiple times a week is not advisable. Doing this causes too much strain on the hair which in turn causes damage. 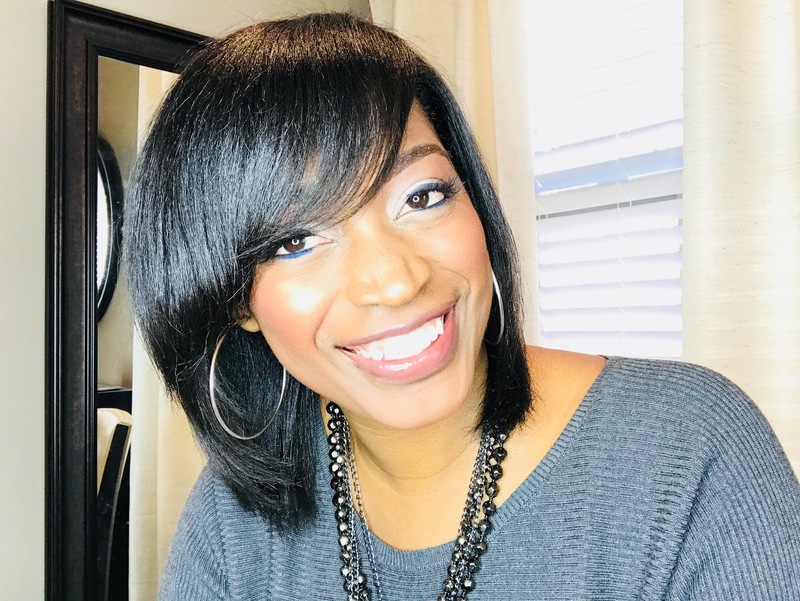 Not receiving the proper treatments as needed- Since we have established that relaxers do weaken the hair, it is necessary to add that strength back in by receiving protein treatments. Protein helps strengthen the hair by making it stronger and giving it what the application of the relaxer can take away. Beware: too many protein treatments can cause the hair to become too brittle and break. Therefore it is advisable to only get these when absolutely necessary. Adding even more chemicals- I have said this before and I will say it again. Pick one chemical and stick with it. Either relaxer OR color, but not both. 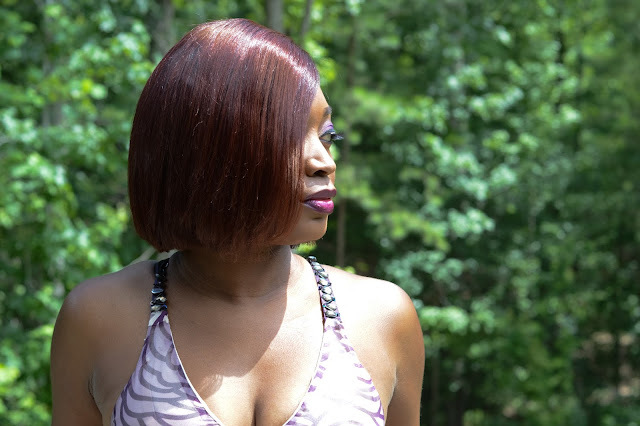 It is possible to have healthy hair and have both a relaxer and color, but most people don't do what is necessary to keep the hair healthy so I advise to pick which one is more important for you to have. 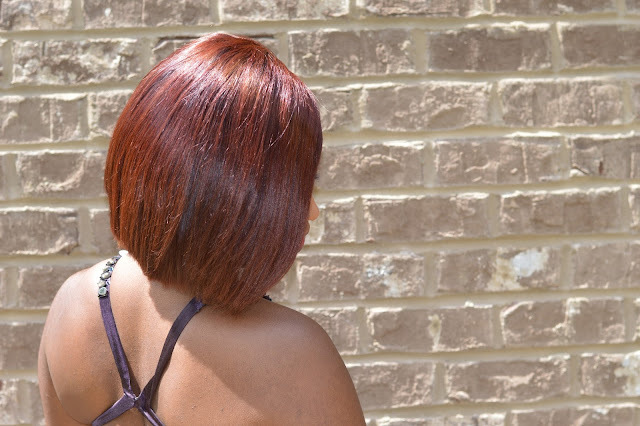 If you can't live without your relaxer, opt for a semi permanent color instead of permanent or get some colored extensions added. There are plenty of options available to give the illusion of having color without actually having it. If you prefer to have permanent color, opt for ditching your relaxer. It is much easier to take care of your hair when you only have one chemical in your hair instead of two. Not combing it- I know this sounds crazy but it is important to comb your hair daily unless the style you have chosen doesn't allow it. In that case, tying it down is fine. Not combing your hair simply because you don't feel like it or are too lazy to results in matting which causes breakage. Don't do this, in fact you want to make sure you wrap your hair every night to protect it. Getting relaxers too often- 10 out of 10 people that claim relaxers broke their hair off also got them at least every 4-8 weeks. This is not enough time! 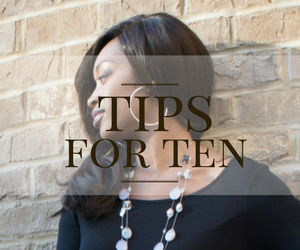 Instead try going at least four months (see why here) in between relaxers to allow your hair to grow out enough so that the relaxer is not overlapped onto the previously relaxed hair. Which is better? Natural vs. relaxed hair. If you are not willing to do the things listed above for your relaxed hair, then your hair just may be healthier if it were natural. Having natural hair is not a pass to neglect the hair though. Some women with natural hair have told me that it is a lot more work to handle than their relaxed counterparts. It is very possible to have unhealthy natural hair if the hair is being neglected. So, now I will ask the question again. Which is better, natural or relaxed hair? The answer is neither. It is better to have HEALTHY hair. Whether you are relaxed or natural, develop a hair care routine that helps you to have the healthiest hair possible. My motto is "all hair can be good hair!". If your hair is healthy, it is good! I..simply..LOVE your website! 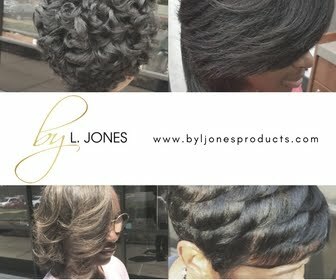 The information is current, understandable & most importantly (for me)is coming from a professional stylist. I'm still deciding between Natural & relaxed, but I've learned from you that no matter which one I choose, healthy hair is key. Thanks SO much for this timely information! I now know how to better care for my relaxed hair and I'm super excited. I was beginning to doubt that relaxed hair can be healthy.